When you think of the Mediterranean, what’s the first thing that comes to mind? Well that was nice. Anyway, whatever it was for you, one thing usually associated with the region is olives! Sunny olive groves that stretch for miles produce a valuable source of food that is part of the foundation of the Mediterranean diet. Both the fruit and the leaves of the olive tree have nutritional value. The leaves, however, contain higher levels of certain compounds that provide tremendous health benefits. 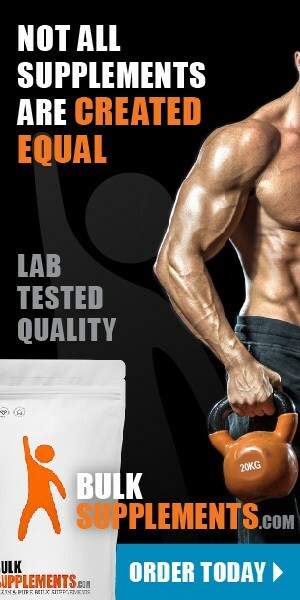 In addition to being edible, the leaf extracts are made into dietary supplements. Mediterranean cultures have traditionally used olive leaf extracts to help with many types of ailments. Modern research is now supporting this traditional use. Olive leaf extract is useful for its antimicrobial, antifungal and antiviral properties. It helps support heart health, weight management, balanced blood sugar and brain function. It also lowers inflammation and arthritis pain. And as if that weren’t enough, it may reduce the risk of some cancers. It’s easy to see why the Mediterranean diet is associated with longevity and quality of life. What makes olive leaf extract so medicinally valuable? It’s the chemical compounds it contains — most notably oleuropein and hydroxytyrosol. Both have antioxidant, anti-inflammatory and antimicrobial properties. These compounds are credited with some of the health benefits observed in those consuming high quantities of olive foods (x). Many things cause infections including viruses, bacteria, fungi, and parasites. No matter the cause, olive leaf extract helps prevent infection or speed recovery by killing harmful microbes. There are many applications for this, and they are backed by studies. Herpes virus (HSV-1). Olive leaf extract can help prevent outbreaks of HSV-1 and reduce their severity (x). Cold, flu, and upper respiratory infections. The anti-viral compounds in olive leaf extract also reduce infectivity and replication of viruses that cause colds, flu, and upper respiratory infections. Because of this, it’s used at the onset of infection to reduce duration and severity of illness (x, x). Bacterial and fungal infections of the skin, nails and scalp. In one laboratory study, olive leaf extract eliminated fungus and bacteria on the skin in as little as three hours. Strains tested included E. coli and C. albicans, microbes that are particularly troublesome in humans (x). Olive leaf extract can promote a healthy heart in multiple ways. First, it helps improve cholesterol numbers. Animal and human studies show that the compounds in olive leaf extract can reduce total cholesterol, LDL, and triglycerides. These are all risk factors for cardiovascular disease. Additionally, olive leaf extract raises HDL (the “good cholesterol”), which further reduces risk (x, x). Research shows it also lowers blood pressure. High blood pressure, or hypertension, is a major risk factor for cardiovascular disease. One study, for example, found that 136 mg/day of olive leaf extract had about the same effect as the common blood pressure drug Captopril (x, x). The benefits of olive leaf extract on the heart don’t stop at just improving cholesterol and lowering blood pressure. Polyphenols in olive leaves can help prevent the buildup of plaque in the arteries, which may help prevent heart attack and stroke (x, x). Blood sugar sustained at high levels, such as in the case of diabetes or pre-diabetes, it puts substantial stress on the body. This stress leads to inflammation and tissue damage that gets progressively worse. A main goal in the management diabetes is to prevent major fluctuations in blood sugar levels, keeping them as stable as possible throughout the day. Many animal studies show the ability of olive leaf extract to stabilize blood sugar (x, x). For example, rats were fed a high-fat, high-carb diet and developed metabolic syndrome with glucose intolerance. But when given olive leaf extracts, nearly all of the metabolic abnormalities improved, and even completely normalized in some (x). Human studies also show a similar effect. One clinical trial of 46 overweight men, for instance, found that supplementation with olive leaf polyphenols increased insulin sensitivity by 15 percent (x). Researchers believe that olive leaf polyphenols may reduce absorption and digestion of starches in the intestine, thereby keeping blood sugar levels more stable (x). Olive leaf extract can help protect the brain and central nervous system. When there is a catastrophic event, such as stroke or spinal injury, damage to the brain can occur within minutes. Animal research shows that the polyphenols in olive leaf, if taken prior to brain injury, can result in less damage caused by trauma (x,x). Researchers are also now investigating the potential benefits of olive leaf polyphenols on degenerative brain conditions like Alzheimer’s disease and Parkinson’s disease. Both conditions are devastating, and seem to show overlapping characteristics such as increased inflammation and oxidation in the brain. Olive leaf extract exhibits anti-inflammatory and antioxidant properties. It may also help prevent the accumulation of abnormal proteins in the brain that often have a connection to neurological conditions like Alzheimer’s. Research is promising, but is still in its early phases and mostly involves animal studies (x, x, x). Inflammation presents itself in a lot of ways. We all recognize acute inflammation when we injure ourselves and see swelling and redness at the site of injury. Inflammation can also be chronic and less easily recognized, leading to adverse health outcomes like the conditions described above including heart disease, diabetes, and Alzheimer’s disease. Arthritis is another. Arthritis involves painful, sometimes debilitating inflammation. Olive leaves containing anti-inflammatory compounds are a traditional remedy for arthritis. There is some scientific evidence to now back the claim that olive leaf extract can help reduce the pain and inflammation of the condition and even slow the development of certain types, including rheumatoid arthritis, gout, and osteoarthritis (x). In a study, when administered at the earliest sign of rheumatoid arthritis, oleuropein (the main polyphenol in olive leaves) prevented symptoms from developing and improved the condition of the tissue around joints. If taken after arthritis developed, it acted as an anti-inflammatory. It demonstrated similar benefits with osteoarthritis (x). Epidemiological studies (the type of scientific studies that look at patterns of health in large populations over a long period of time) link olive consumption to reduced rates of some types of cancers including those of the breast, colon and skin (x, x). Most research currently focuses on test tubes on animals studies. However, several of these studies conclude that the polyphenols in olive leaf do have a cancer-fighting effect (x, x, x). How does it work? Scientists believe olive leaf blocks the absorption of some cancer-causing compounds in the intestines. In addition, it may also impact tumors on a cellular level, preventing them from thriving.. (x). As with all supplements meant to promote general well-being, it is important to note that a supplement such as this is by no means a substitute for legitimate medical advice. It is always best to talk to a doctor if you are experiencing problems with your health before taking a course. 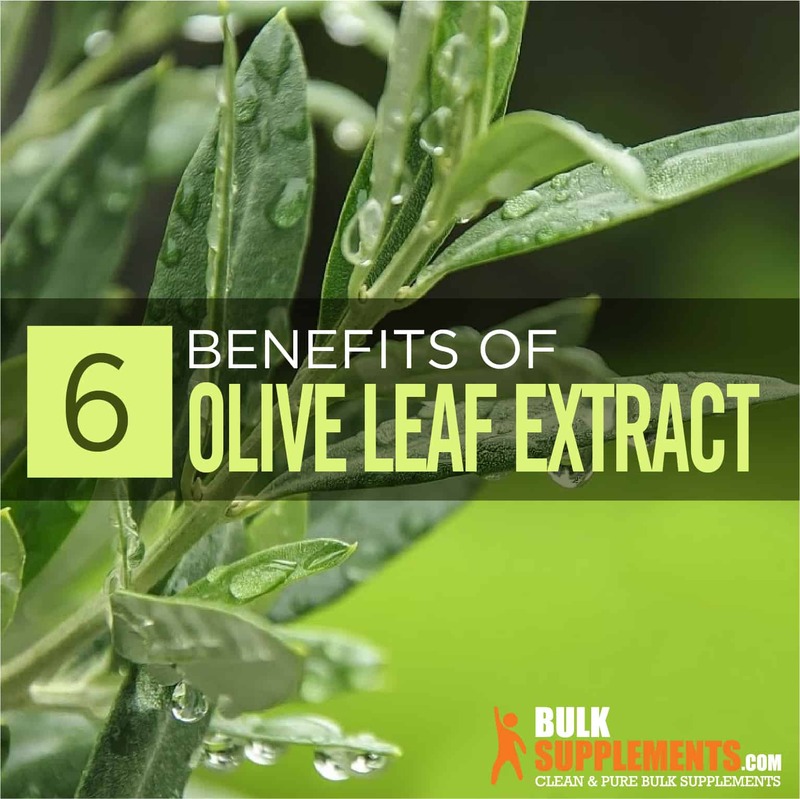 Few side effects are associated with oral supplementation of olive leaf extract. However, allergic reactions with topical use are rare but possible. Should any skin irritation occur, discontinue use. There have also been reports of headache and stomach pain, though this is rare. Because olive leaf has the ability to lower blood pressure, those with diabetes or similar conditions should first discuss supplementation with a trusted physician. Similarly, do not take it within two weeks of any major surgery. Olive leaves and their extracts are a go-to to treat a variety of different ailments among Mediterranean cultures, thanks to their high levels of therapeutic compounds. Scientific evidence now backs up what people have known for millennia. Olive leaf extract can help prevent and treat infections, improve blood pressure, reduce risk of heart disease, and protect against age-related conditions. It might also help manage chronic inflammation and blood sugar imbalances. Research even suggests it may play a role in cancer prevention. All hail the olive leaf!